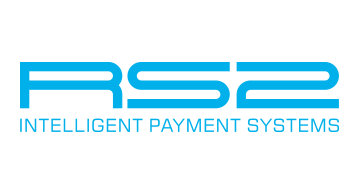 RS2 Software p.l.c is a technology company specialized in Issuing, Acquiring and Clearing & Settlement processing of transactions generated through various channels such as E-Commerce, MOTO, M-Commerce, POS, ATM, NFC and e-Wallet. Our Flagship product is traded under the name of Bankworks, which is broken down into the following modules: Issuing, Acquiring, Dispute & Case Management, Interchange & Clearing, Merchant Web Portal, General Ledger & Accounting, Routing & Switching, Call Centre, e-Wallet, Settlement & Reconciliation and Pin & Fraud Management. Our customers are Banks, Financial Institutions, Payment Gateways, Payment Service Providers and Retailers. The customer can choose between two deployment models for the use of the system either as a license to deploy in-house at the customer’s infrastructure or deployed as an outsourced service using our infrastructure hosted at IBM. The company operates from its offices in Europe, Middle East, North America and Asia Pacific. Our Global reach enables our customers to transact in every region utilizing multi-currency for Issuing and Acquiring and multi-lingual capabilities for customer communication and reporting. Our central acquiring capabilities provide the acquirer and the merchant the capability to process their transactions centrally and acquire globally, leveraging the relationship of RS2 with the local acquirers to fund the merchant, manage the relationship with the schemes in various regions and manage the local regulations and taxation. Software development, consultancy, integration & customization, certification, knowledge transfer and training are some of the services that are provided by our talented team at RS2. We are fully committed to delivering the highest standards in our industry. In fact, we comply with the latest standards of data encryption & data masking and are fully PA-DSS certified.